Bringing your pet in for an annual diagnostic and wellness checkup can help reassure you that your dog or cat is healthy or help us detect hidden diseases or conditions early. Early detection can improve the prognosis of many diseases, keep medical costs down, and help your pet live longer. Many dogs and cats are good at hiding signs that something is wrong, so subtle changes in their health or behaviour might be easy to overlook. And, depending on the disease, some pets don’t show any signs. Dogs and cats age far quicker than humans, so it is even more crucial for our companion animals to receive regular examinations. In addition, the risks of arthritis, cancer, diabetes, heart disease, hormone disorders, and kidney and liver problems all increase with age. During your pet’s wellness exam, we will perform a physical assessment, checking your dog or cat from nose to tail. 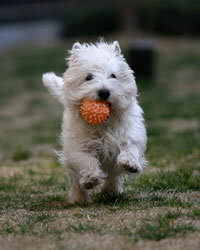 We will also make sure your pet receives appropriate vaccinations and preventives. We will perform a diagnostic workup, which may include blood, faecal, and urine tests to check for parasites and underlying diseases. We may also recommend that your pet receive dental care. 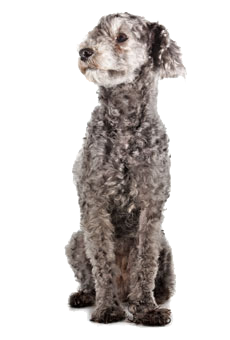 When your pet is nearing his or her senior years, we will recommend a baseline exam and diagnostic workup so we’ll know what’s normal for your pet. This will enable us to keep track of any changes. Because you spend the most time with your pet, you are your pet’s expert, as well as his or her greatest advocate. Please let us know if you’ve noticed any physical or behavioural changes in your pet, as well as any other concerns you might have. We can treat many signs that are commonly attributed to age, including those associated with cognitive dysfunction syndrome (similar to Alzheimer’s in humans). We can also improve your pet’s quality of life in many ways: by identifying and preventing or reducing pain, recommending an appropriate nutrition and exercise plan, and suggesting environmental modifications to keep your pet comfortable.